Crowd-sourcing has become an increasingly common way to raise capital for artistic projects, business ventures, medical emergencies and other personal or business endeavors. A Beverly Hills mother has taken to crowd-funding to raise money to bring medical marijuana to those in need. According to NBC Los Angeles, the woman was diagnosed in 2007 with ovarian cancer. With only months to live, she began smoking medical marijuana and refused hospice. She credits cannabis with saving her life, and has since become a cultivator and staunch advocate of the drug. Now in recovery, she helms the Beverly Hills Cannabis Club, and has developed a reputation as a fierce fighter for medical marijuana. She has appeared on TV shows and as the subject of magazine articles, promoting her business and her beliefs. She has been called the “Martha Stewart of marijuana.” Though she may not fit the mold of a stereotypical pot smoker, she is more familiar than most with the benefit that the drug can have. She is using her platform to bring medical marijuana to others. Her advocacy helps to remind the public that the face of medical marijuana is not a college-aged stoner/slacker. These are mothers. Children. The elderly. Each are suffering from severe and debilitating conditions. For them, marijuana is medicine. 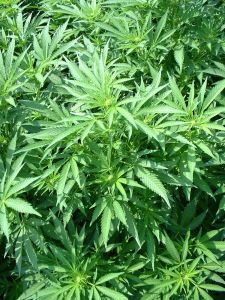 The drug has proven effective in coping with symptoms related to epilepsy, PTSD in veterans, cancer, and a host of nerve disorders. Breaking the mold as a cancer survivor and marijuana user, she has also spearheaded a successful and unconventional business model. Carrying the belief that marijuana saved her from cancer, the woman has used this passion to start and build her own medical marijuana farm. Her a 68-acre marijuana farm in Northern California is the launching pad for her crowd-sourcing venture, which she hopes will help other potential medical marijuana entrepreneurs. Our Orange County medical marijuana attorneys are dedicated to helping our clients protect their rights and succeed in the California marijuana industry. With the changing local and state laws, combined with unclear federal policies, marijuana users and growers can have a difficult time navigating the system. Our priority is to help growers and dispensary owners prevent liability and ensure compliance with marijuana law. We also represent individuals who have been charged with a marijuana-related crimes. The crowd-sourcing venture posits three possible business models, though no money has yet been pledged. The goal of crowd-funding is for anyone with a small business venture or idea to post and get funded, gaining attention through social media. Despite the optimism, many marijuana business owners have found criticism. There are still opponents in California and nationwide who see the “green rush” as problematic. However, for advocates like this crowd-sourcing cancer survivor, the fight against opponents is worth it. Marijuana is an amazing drug that can alleviate the side effects of cancer treatments and other painful diseases. For those in the business of getting medical marijuana to patients, the demand is high. There is a strong belief in Southern California and nationwide, that marijuana has the powerful medicinal ability to help people.